Declan Rice counts John Terry and Roy Keane amongst his heroes but the influence of another less conspicuous man bodes well for Irish football. Mark O'Toole was earlier this week name-checked by Aiden O'Brien for kick-starting his international career and while the ongoing ascent of West Ham United's Rice is more rapid, the FAI's most successful English-based scout is centrally involved. The English FA, fresh from almost losing Brummie Jack Grealish to Ireland, have applied a more dedicated approach to monitoring dual-nationality prospects and it is inevitable they will intensify efforts to dissuade Rice from closing the option of switching to his homeland. 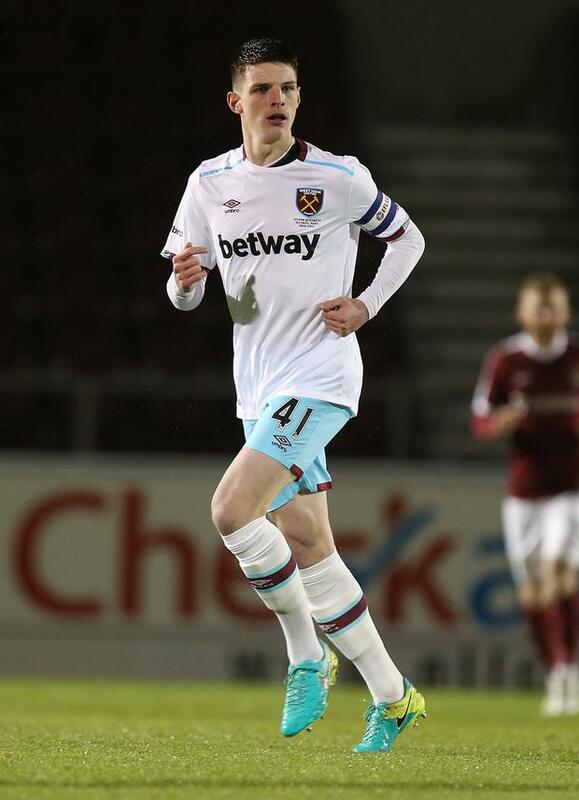 The 18-year-old added to the Premier League debut he earned on the final day of last season by clocking up six more outings for the Hammers so far this season. On merit alone, there is a solid argument for him being part of the senior squad but Martin O'Neill feels the sampler he got during a training camp in Cork just days after that bow at Burnley is sufficient for now. That full cap could come next month in a friendly, should the World Cup campaign cease in Cardiff on Monday, and it would be fully deserved in the context of rebuilding the squad, be it O'Neill or a successor at the helm. London-born but declared for Ireland since 16 through his Cork-born grandparents, Rice is satisfied with where his international career rests. This evening at Tallaght Stadium, he'll win his second cap for the U-21s in their European Championship qualifier against Norway (7.45), with another fixture against Israel to come at the same venue on Monday. Nothing more than extending Ireland's winning start in the campaign to four games consumes the thoughts of Rice and, with O'Toole maintaining contact outside of international gatherings, an uninterrupted graduation looks likely for one of the Premier League's breakthrough gems. "I'm still eligible for Ireland's Under-19s so I don't expect to be in the senior squad full-time," he confessed. "I really enjoyed working with Martin O'Neill and Roy in Cork. Roy maybe didn't get the recognition he deserved in England as a player but to me he was an icon. "I'm very happy to be with the U-21s. Mark O'Toole from the FAI has looked after me well back in England to the point that I consider him a father figure. "Mark always told me my chance with Ireland would come once I worked hard and he was right."